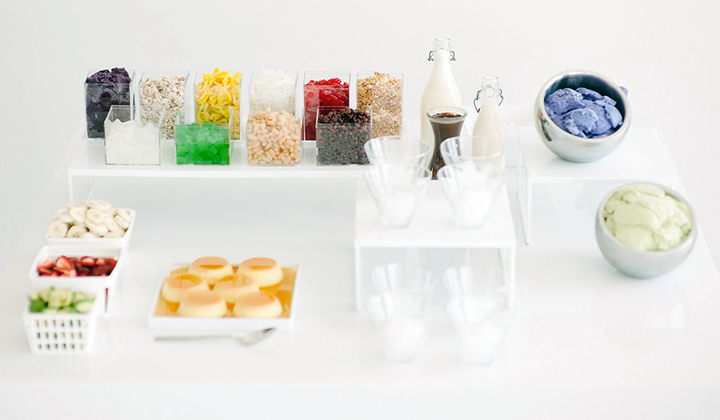 The Mix Mix Dessert Station, from 24 carrots catering & events, was developed from the Filipino dessert, halo-halo, which mixes shaved ice and evaporated milk with various ingredients. 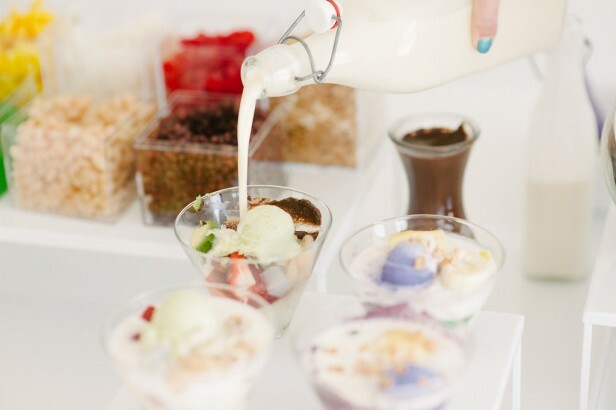 In this station, assorted jellies, ube jam, sweet beans, fresh coconut, milk, chocolate, and some fruits are matched with leche flan and ube and avocado ice creams. 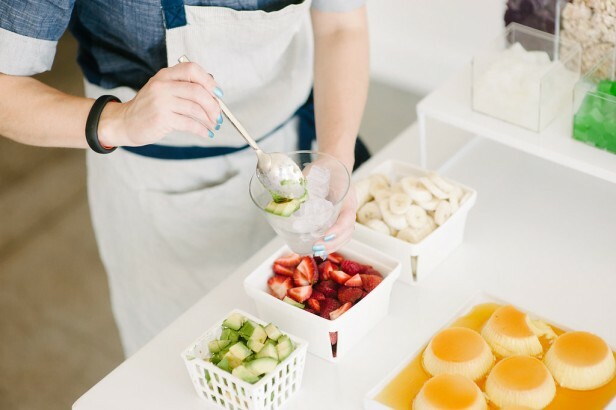 The chef does much of the assembling and then guests can personalize with the toppers as well as choose to mix/match the ice creams.